Over the past few months, you may have caught a glimpse of this Chrome-plated laser beam we affectionately call the Terminator T-1000 or the Chrome Gun. The idea started as a theme gun for the 2018 Ignition Custom Winter Classic PRS event at Buchan, Victoria. Despite hot competition on the field, the event was held in the the midst of Victorian high country winter (even the event trophy design sported a ice-y look). We wanted a rifle that was “cool” and wintry to match. T100 Chrome Gun is a sub-quarter MOA laser beam. 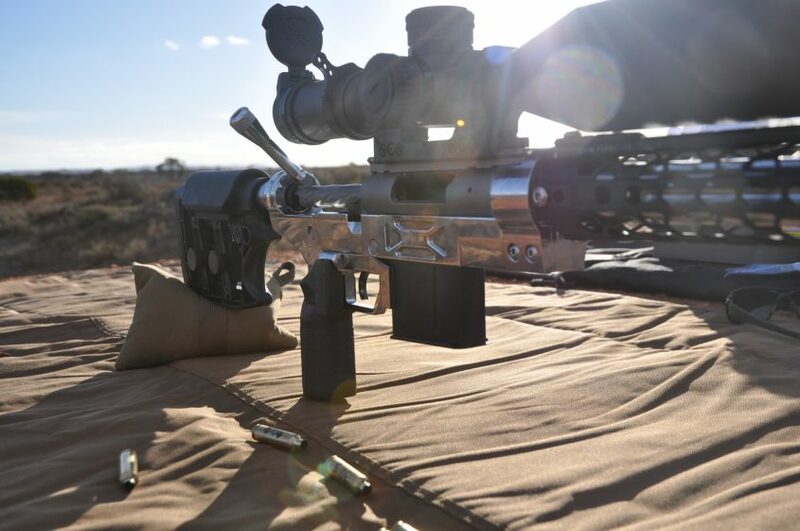 Our previous competition rifle had served two hard years of precision rifle style comps (not bad for an accurized Remington 700) and got a lot of attention over the years for its unique Cerakote job. How could we top the Nerf Gun? After a few late nights in the workshop throwing around ideas we stumbled across an idea…..
We didn’t take it too seriously and gave head gunsmith Nik a bit of grief about it (ok, a lot). Until we saw the finished product. 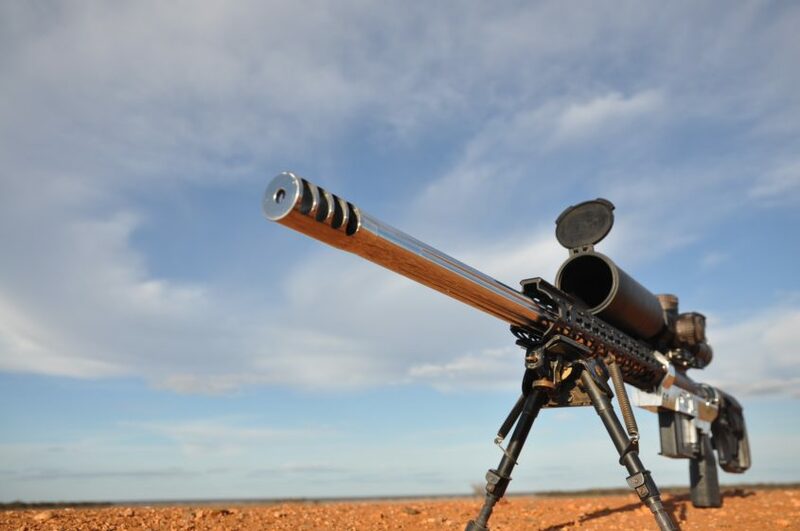 It certainly was an eye catching show piece and gained a lot of attention at its unveiling at Shot Expo Sydney 2019. Using Australian made components was really important. 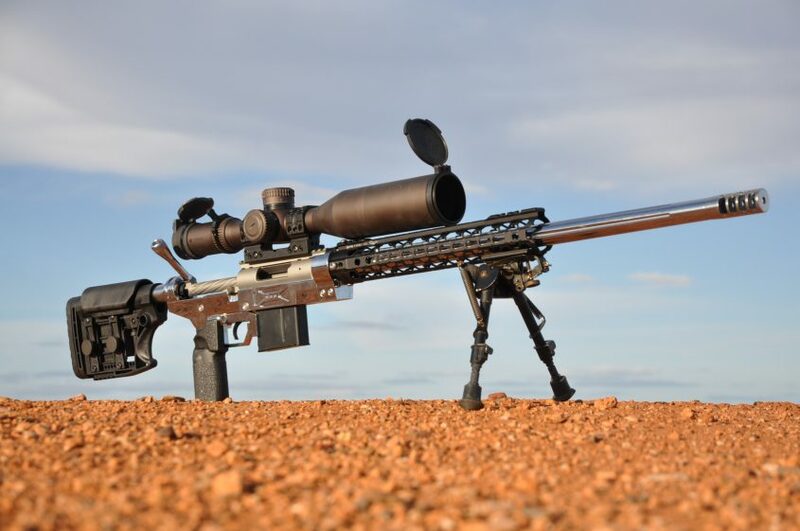 We knew it was going to be built using a MANAEL action in lightweight titanium (they are made in Australia and designed for long range hunting and competition use in hard Aussie conditions). 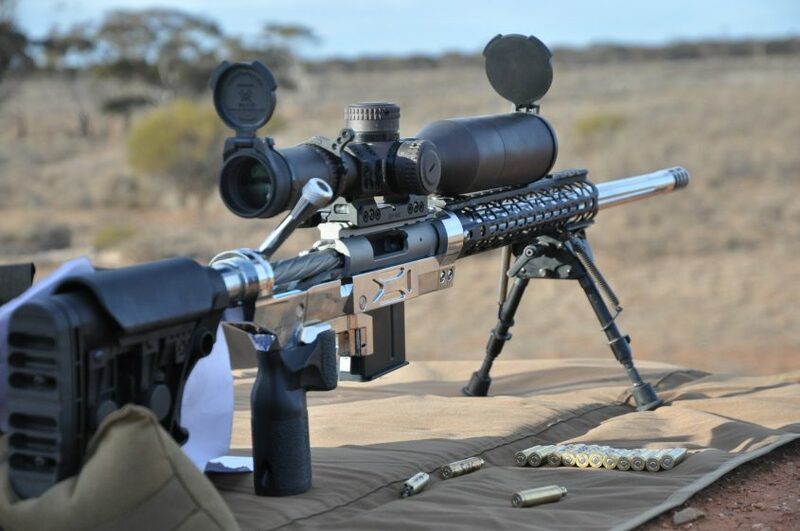 The actions have a Remington 700 footprint, so are compatible with most Remington gear including the Precision Rifle Products Modular Chassis (made in Adelaide, SA). 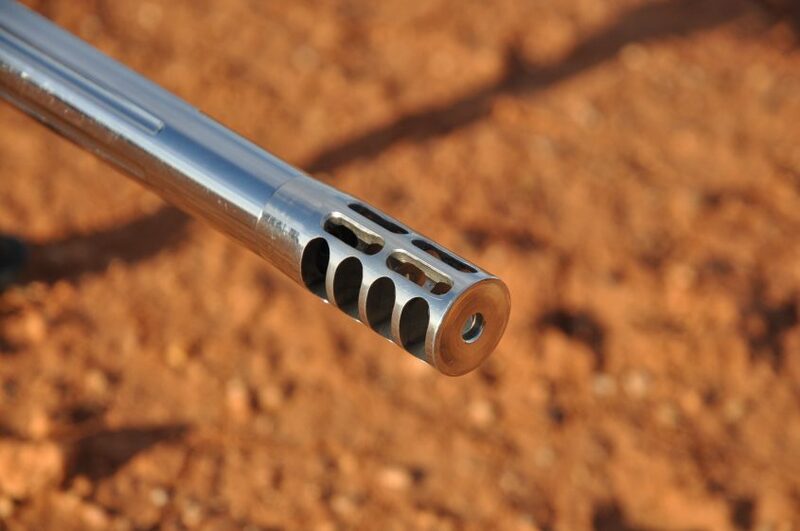 Swan Barrels from Queensland provided the barrel in .243 Ackley Improved. It was fitted with one of our Janzso-port muzzle brakes. 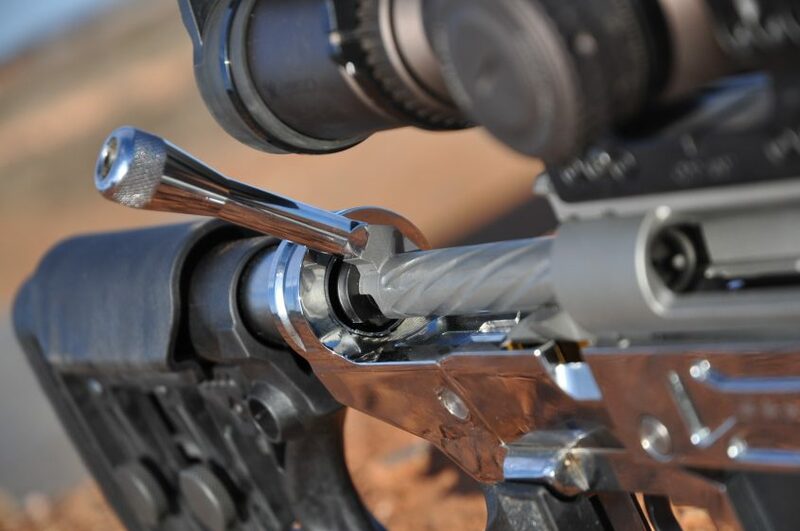 The throat was cut deeper to seat the projectiles out and allow for better box mag feeding (a longer cartridge aids in super reliable feeding). After chrome plating, a Calvin Elite Timney Trigger was fitted and testing began. The build was agile with really great balance, resting unsupported in the midline. Which makes for great barricade stability. Its also a laser beam. 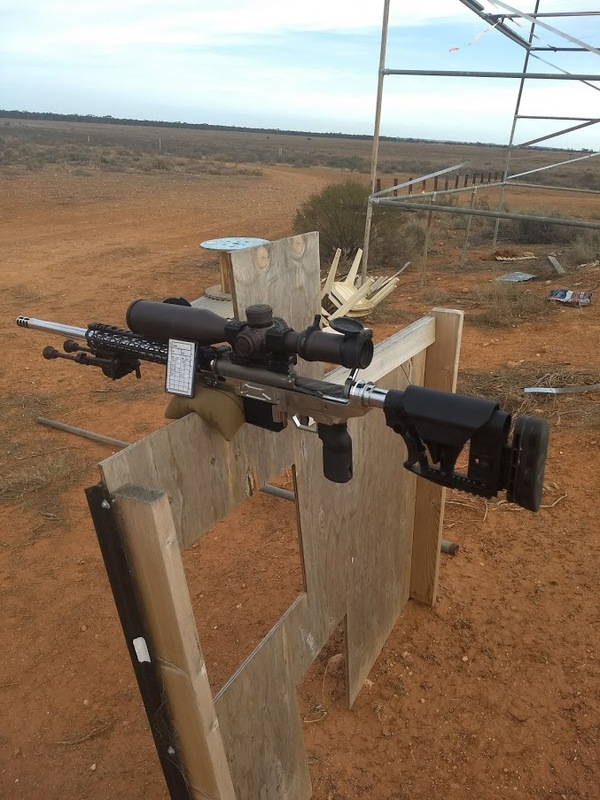 Early testing (straight from the workshop build bench) it performed at sub-quarter/.25 MOA in 1″ inch group at 400 metres (it loved the Nosler 105gr RDF projectiles). As the official gunsmiths of the PRS we have worked on lots of PRS specific custom builds. We noticed brand name actions kept locking up in the dirt. 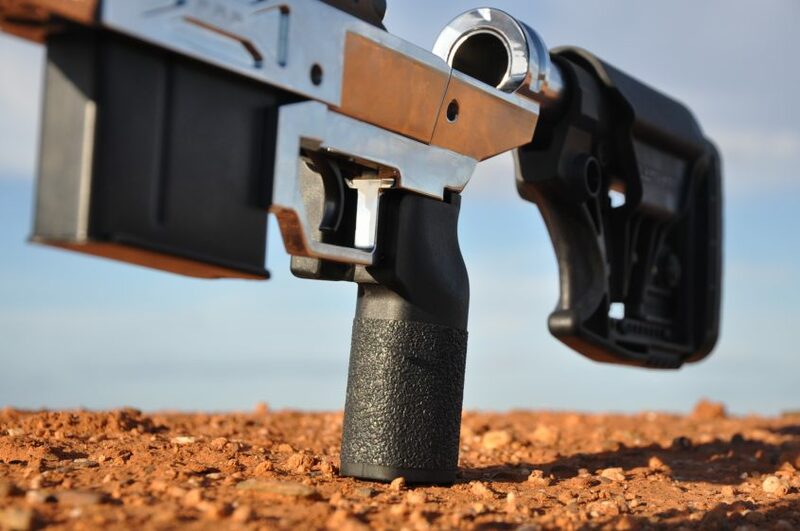 So we spent some time researching dynamics to ensure a rifle that could consistently perform in dust, dirt and mud and applied that to the MANAEL action range and the Chrome Gun. Nine months down the track and the MANAEL Chrome gun is unstoppable, out performing the shooter! We are looking forward to an exciting year on the field in 2019 PRS. 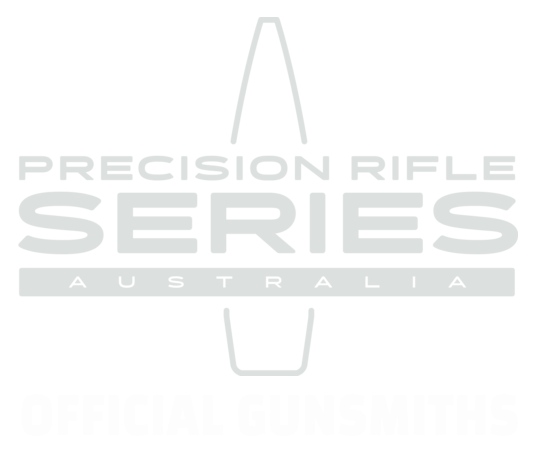 We are the official gunsmiths of the Precision Rifle Series Australia.